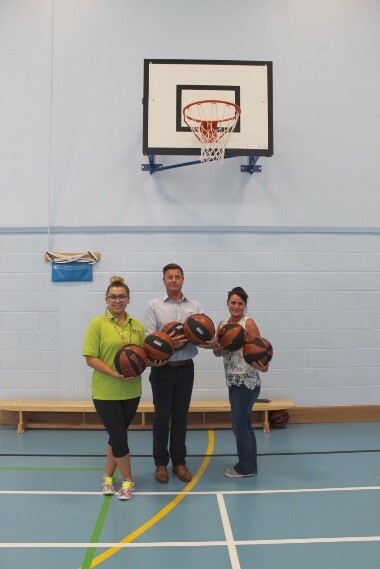 As part of DYNAMIK Sport’s ongoing commitment to Basketball at all levels, Craig Jack met with some of the team at Inspire Youth Zone in Bolton to donate basketballs for use by Inspire’s members. Inspire Youth Zone has gained interest from HRH Prince Harry, the Duke of Sussex and other high profile supporters who realise the importance of giving young people somewhere safe to spend their leisure time. The ethos of each Youth Zone is to provide all local young people aged up to 25 affordable access to high-quality sports, seven days a week, 52 weeks a year. DYNAMIK offer sports flooring and acoustic walling solutions to schools, universities and leisure centres across the UK. Contact us at info@dynamiksport.co.uk.